As soon as the Flynn brothers lifted their Glocks, Dan was in trouble. Silence descended like a cloak of doom. would react when faced with imminent death. What reviewers are forced to use for the “blurb” on this book is actually a prologue, a glimpse into events that took place three years earlier, that have become the driving force in Adelaide police investigator Detective Sergeant Dan Brennan’s life. 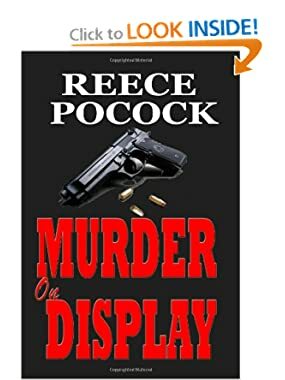 Readers who live in Adelaide or who have taken an interest in the macabre events in Adelaide’s recent past like the operations of the the “Family”, the Truro murders and the “bodies in the barrels” cases will recognise the fictionalised background in this first novel from Reece Pocok. For me it was all a bit too close to the truth and not sufficiently original. Where I thought it might have got a bit interesting was in the premise that the police might not have tracked down all the perpetrators of the earlier crimes – the culmination of which, the attack by the Flynn brothers on Dan Brennan and his wife at a restaurant, is the opening page, and the backcover blurb, for this novel. But the author seemed to lose sight of this thread and to embark on too many others. The main story opens promisingly enough with the body of a the wife of a courtroom defence barrister being found in the parklands that surround the city. But then more bodies begin to turn up in nearby Kuitpo forest in the Adelaide Hills. The sniffer dogs turn up more in shallow graves and at that point it feels like the investigation is wallowing in blood, too much blood, not enough connecting threads. The main plot is complicated by the connections, homosexual and otherwise, between the police hierarchy and the judiciary. When the author tried to add a human interest to Dan Brennan’s life, in the form a daughter who returns home and becomes an assistant to the pathologist, and then a relationship with one of his staff, he lost me.The narrative seems to get away from the author, and the twist at the end is quite bizarre. In short, a novel with promising passages but not quite my cup of tea.